A night full of ugliness tonight at the Moose — grab your tickets here! More details here. Join us on Tuesday, October 30th at Bocktown Robinson for a evening of live pirate music, wickedly good libations and scrumptious food from our laboratory… eh… kitchen! *Grab a seat and rest in peace with a glass of Great Lakes Nosferatu, Southern Tier Pumking, or Great Divide Yeti on tap. *Bring your appetite, as Chef Michael’s seasonal treats, including our creamy pumpkin bisque with apple cranberry chutney, are sure to be fantastic! *The party moves into “full moon swing” with a live acoustic performance from the THE BLOODY SEAMEN! YARRR! *Bring your Halloween “A” game, because our costume contest gets better every year! 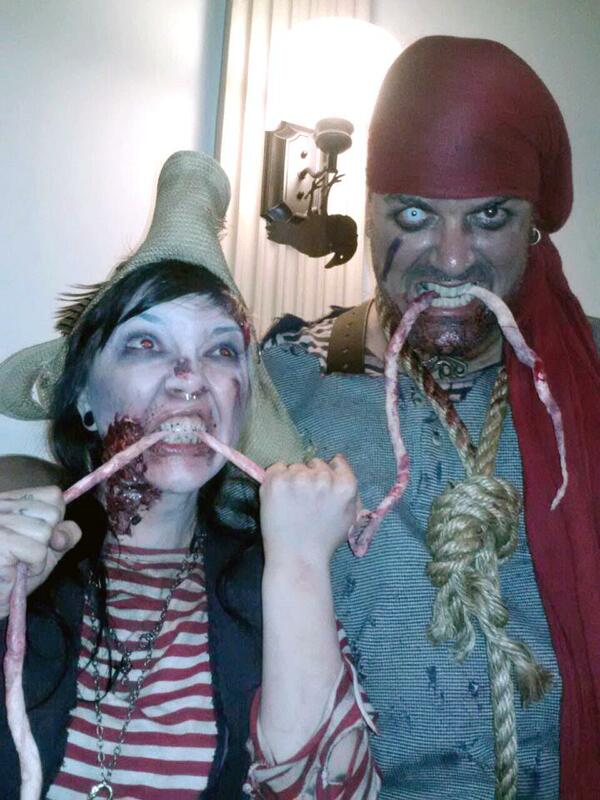 The finest display of Halloween spirit will receive $50 in Bocktown Bucks. *All ghoulish guests that COME IN COSTUME will receive a special goody bag needed for Halloween Hoe Down 2012 survival! The lucky holder of one goody bag will win a Fresh Cut Fry Party for 4! So, bring some spooky friends, and arrive a bit early, as our coffins are sure to fill up fast! Remember, THIS PARTY IS 21+, so leave the kiddies at the pumpkin patch after 9 pm. 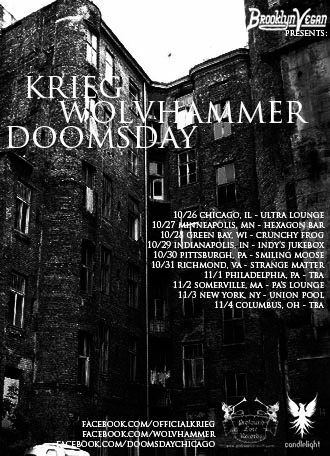 This entry was posted in Pittsburgh, Shows and tagged Allure of the Earth Productions, Bocktown Beer and Grill, Doomsday, Krieg, No Reason to Live, Pennsylvania, Pittsburgh, The Bloody Seamen, The Smiling Moose, USA, Wolvhammer. Bookmark the permalink.